The UCLA Bruins men’s basketball team has overcame several opponents since November, decimating the once no. 1 Kentucky and going on a 13-game winning streak to begin their 2016-2017 season. 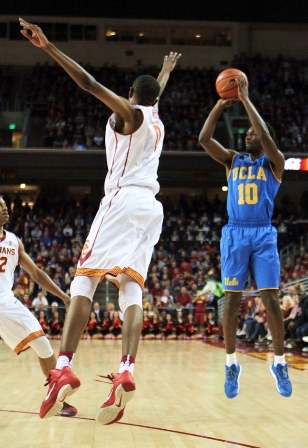 However, the USC Trojans would not allow UCLA a win at the Galen Center. The Trojans defeated the No. 11 team in an 84-76 contest. 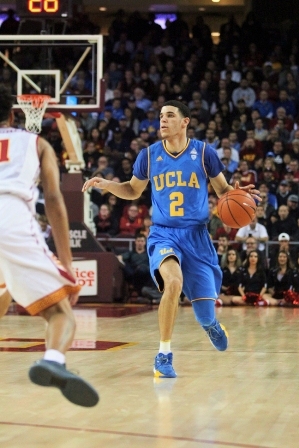 Bruins senior guard Isaac Hamilton scored 20 points, freshman sensation Lonzo Ball scored 15 points and 10 rebounds. Sophomore guard Shaqquan Aaron earned 23 points and forward Chimezie Metu earned 13 points and seven rebounds. UCLA went on an 8-point run in the first three minutes of the game, USC responded with two consecutive three-point shots. The Bruins had dominance over the game until they froze at 28 points for three minutes. The Trojans began relying on box defense and forcing turnovers from long ranged passes. This made all the difference for USC. 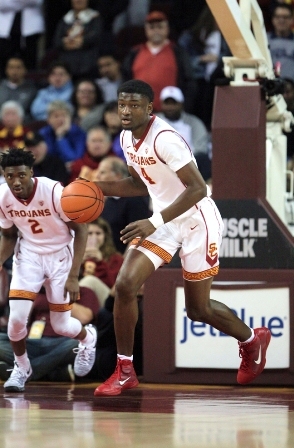 The Trojan offense became more cohesive, three pointers from Aaron and a dunk by Metu brought excitement to the crowd, USC went on a 11-0 run. By the 3:47 mark, USC had the eight-point advantage. Sophomore guard Aaron Holiday and junior center Thomas Welsh carried on offense as the Bruins trailed for the rest of the period. Junior guard Elijah Stewart ended the first half with a three pointer, giving the Trojans a 50-38 lead at the half. USC continued to live by the three-pointer for the rest of the game, shooting at 41.2 percent throughout the night. Metu continued to thrill the vindictive crowd with a dunk and a block. Ball was shut out behind the arc, making two out of six three-pointers that night. He ultimately made seven turnovers; the crowd chanted “overrated” as he played. For four regulated minutes, the Trojans did not score. During that time, UCLA switched from man-to-man to box defense, made good of two straight possessions. The Trojans edged their score up to 60 points and went silent for another four minutes. The Bruins cut their deficit to four with 9:43 left in the game. Aaron hit a three-point shot and Ball responded. Junior guard McLaughlin hit another three-pointer and the Trojans were at 66 points. 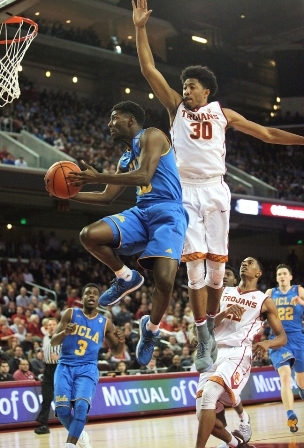 UCLA came within four points when USC laid in two consecutive dunks. The Bruins struggled behind the arc. In two minutes of regulation, UCLA missed five shots, four of which were three pointers. The second rivalry game will take place at Pauley Pavilion on February 18 at 7p.m.